There&apos;s nothing quite like working out in the flower-scented air and amber sunshine of a Chicago summer. 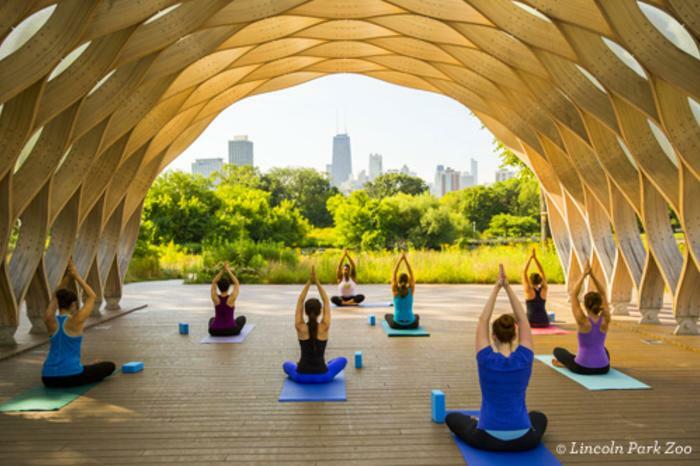 Whether you&apos;re a local or simply here on a visit, take your summer fitness to Lincoln Park Zoo, the sandy shores of Lake Michigan, the butterfly laden Peggy Notebaert Nature Museum, and a slew of other picturesque Chicago spots that will inspire both body and mind. Find your zen amid the swaying prairie grasses, sunbathing turtles, graceful swans, and paddling ducks at Lincoln Park Zoo&apos;s Fitness at the Zoo Series (2001 N Clark St). America&apos;s oldest free zoo boasts more than 100 professionally taught classes, including Power Vinyasa Yoga, Happy Bodies Yoga, Parent and Toddler Yoga, Circuit Training, and Zumba. There&apos;s also the Run Club, which takes you on scenic circuits through the zoo and surrounding park area, while stopping for conditioning workouts to get you into 5k shape. Prices: $20 for a single class, $80 for a five-pack class pass, $140 for a 10-pack class pass, $270 for a 20-pack class pass, $399 for an unlimited class pass. Check out the full schedule and pre-register for classes here. After Your Workout: After your workout, take a stroll through North Pond Nature Boardwalk, a natural ecosystem that offers a haven for native birds, frogs, fish, turtles, insects and more. 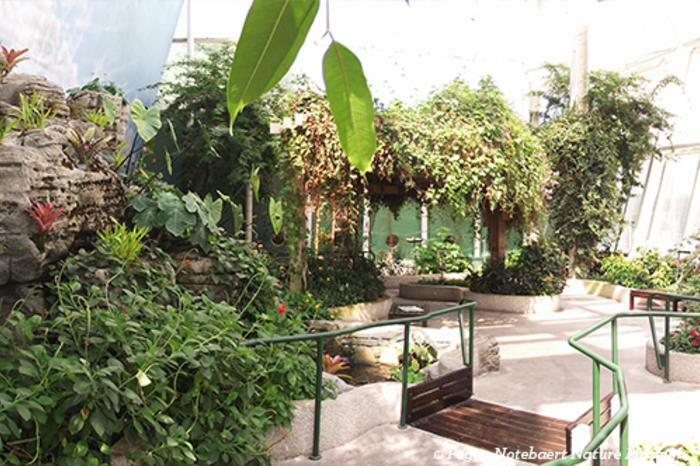 The Lincoln Park Conservatory is a beautiful oasis of exotic plants, and the perfect place to meditate on nature. The conservatory sits right next door to Lincoln Park Zoo. Admission to all three sights is FREE. Just a stone&apos;s throw from Lincoln Park Zoo you&apos;ll find the Peggy Notebaert Nature Museum and its magical Judy Istock Butterfly Haven. When it comes to serene, meditative spots, you really can&apos;t do better than this. On Saturdays from May through August, 8:30am to 9:45am, yoga classes are scheduled in the 2,7000-square-foot-plus expanse, which is home not only to over 40 species of exotic butterflies, but also several stunning bird species from the Southern Hemisphere, peaceful pools, scented flowers and tropical trees. BYO mat. Cost: $15/class. After Your Workout: Take a stroll to the Alfred Caldwell Lily Pool for a double dose of serenity. Something of a hidden gem, this gated garden was designed to resemble a river meandering through a great Midwestern prairie. What&apos;s more, both the FREE Lincoln Park Zoo and the Lincoln Park Conservatory are just moments away. Navy Pier (600 E Grand Ave) is one of Chicago&apos;s top attractions, with its lakefront views, skyline vistas, cruise boats, restaurants, cultural attractions and nightlife. But did you know that it&apos;s also a great spot for FREE yoga and group fitness? From circuit training to cardio yoga, there&apos;s a drop-in class that&apos;s perfect for you. Bonus: these classes are absolutely free, and taught by some of the best instructors in the city. Check out the full schedule here. After Your Workout: Take Shoreline Sightseeing Water Taxi&apos;s Lake Route from Navy Pier to Shedd Aquarium, and spend some time exploring Museum Campus — home to three of Chicago&apos;s exemplary cultural institutions, the Field Museum of Natural History, the Shedd Aquarium and the Adler Planetarium. Taxis departs every 20-30 minutes, weather and customer traffic permitting. Tickets: Monday-Thursday, $8 adults, $4 children; Friday-Sunday and holidays; $10 adults, $5 children. What&apos;s Nearby: When you&apos;re at Navy Pier, downtown Chicago is your oyster. Check out what there is to see and do. Can you imagine anything more inspiring than Jay Pritzker Pavilion glistening in the summer sun with the city&apos;s monumental skyscrapers as its backdrop? Millennium Park&apos;s FREE summer workouts are the perfect motivation to get out of bed in the morning. All you need to do is show up on the Great Lawn on Saturday mornings from June 2 to September 1, and your instructors will guide you through a calorie-burning, muscle-toning, zen-finding routine. These fab free workout sessions are 45 minutes long, with classes in Tai Chi, Yoga, Pilates and Zumba. After Your Workout: Post-workout, plan on cooling down with a stroll through the lush Lurie Garden or meditating over art history at the Art Institute of Chicago. A daily line up of morning and evening classes from Sun & Moon Beach Yoga promises zen as you take in the calm waters of Lake Michigan. 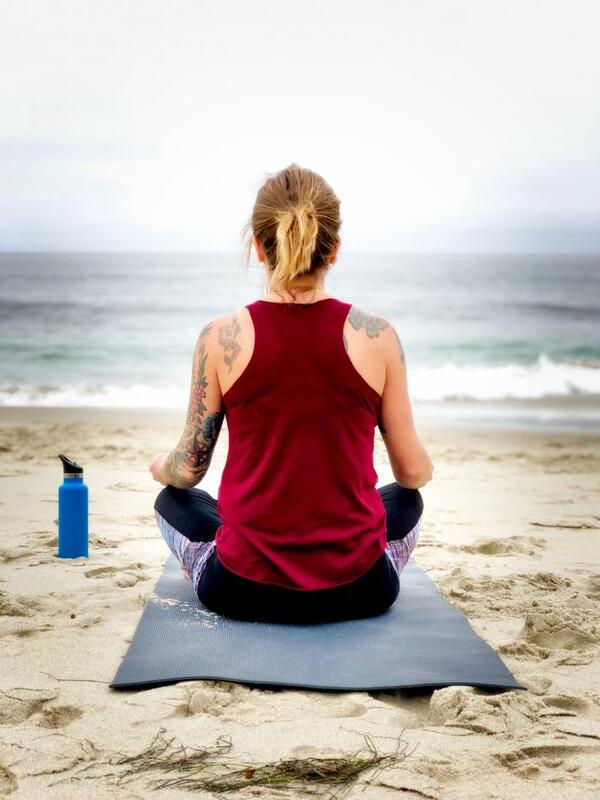 Accommodating everyone from beginners to advanced yoginis, all you have to do is unfurl your mat on North Avenue Beach (1600 N Lake Shore Dr) and get ready to soak in the beauty and serenity that surrounds you. Check out the full summer schedule and season pass options. After Your Workout: Take to the water with a wakeboard or paddle board rental at the Great Lakes Board Company, a kayak rental at Kayak Chicago, or jetski rentals at Windy City Watersports. 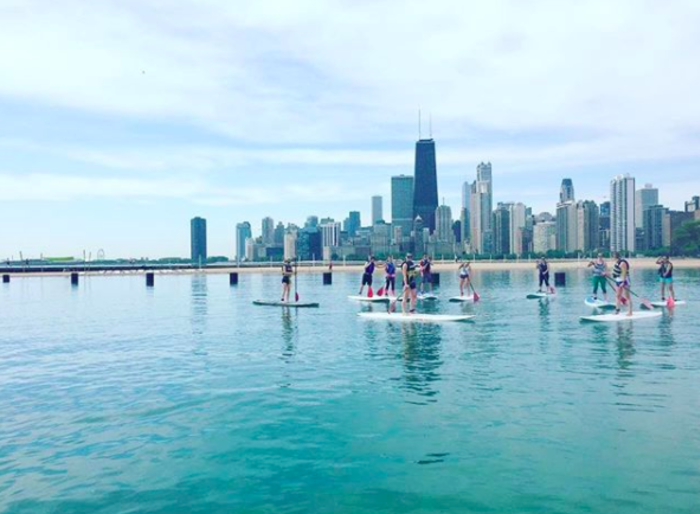 Partnering with Chicago SUP, CrossTown Fitness offers one-of-a-kind total body workouts in the form of stand-up paddleboarding — a hybrid of surfing and kayaking. There are two class options — 7:45am Total Body Beach Bootcamp and 8:30-9:30am Paddleboarding — available on Saturdays June through September. Chicago SUP hut is located just south of Castaways Bar and Grill on North Avenue Beach (1600 N Lake Shore Dr). For rental info, community paddleboard excursions, and SUP lesson details, visit chicagosup.com. After Your Workout: Head to the immensely popular Castaways Bar & Grill, a city favorite. You really won&apos;t be able to miss it — it&apos;s modeled after a sleek ocean liner, decked out in crisp blue and white, and boasting one of the best views of the city. Heading to the museum campus? Get there early enough for a workout with the new Fitness at the Field. 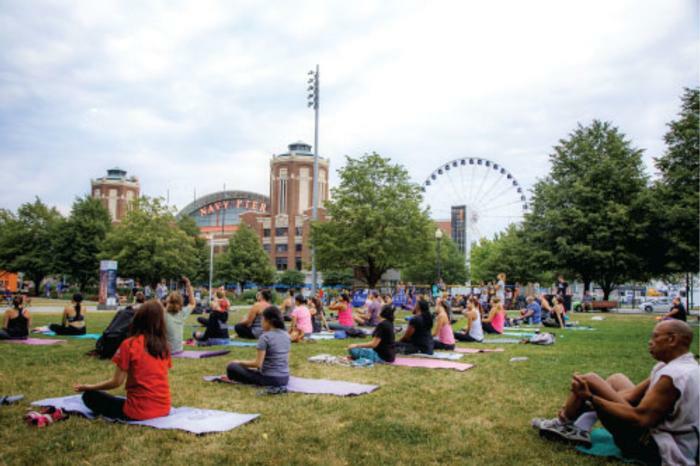 Every Sunday morning from 8-9 am, July 9 through August 20, the Field Museum of Natural History (1400 S Lake Shore Dr) hosts outdoor fitness classes on the Northwest Terrace. Take your pick from Zumba dance, Bar Method and Bootcamp, all taught by the friendly instructors from Fitness Formula Clubs. See what&apos;s on the schedule. 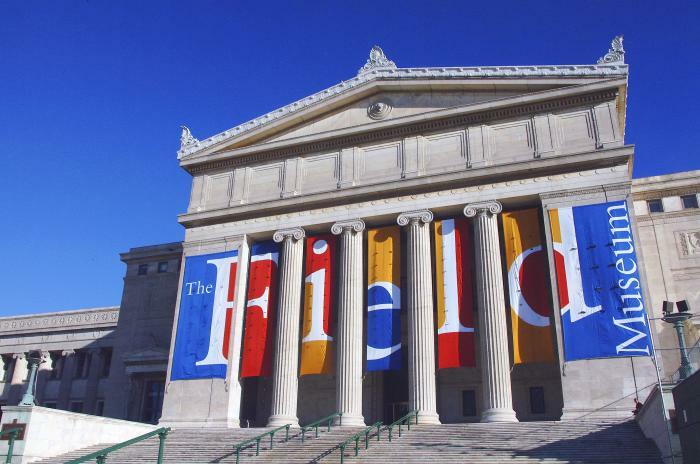 After Your Workout: Chicago’s amazing Museum Campus houses three of the city’s leading institutions all in one place. Spend a day exploring natural history and world cultures at The Field Museum, underwater worlds at the Shedd Aquarium, and far-out galaxies at the Adler Planetarium -- and all from a breathtaking lakefront vantage point. Afterwards, take Shoreline Sightseeing Water Taxi&apos;s Lake Route from Shedd Aquarium to Willis Tower or Navy Pier, for the most picturesque after workout boat ride. Taxis departs every 20-30 minutes, weather and customer traffic permitting. Tickets: Monday-Thursday, $8 adults, $4 children; Friday-Sunday and holidays; $10 adults, $5 children. 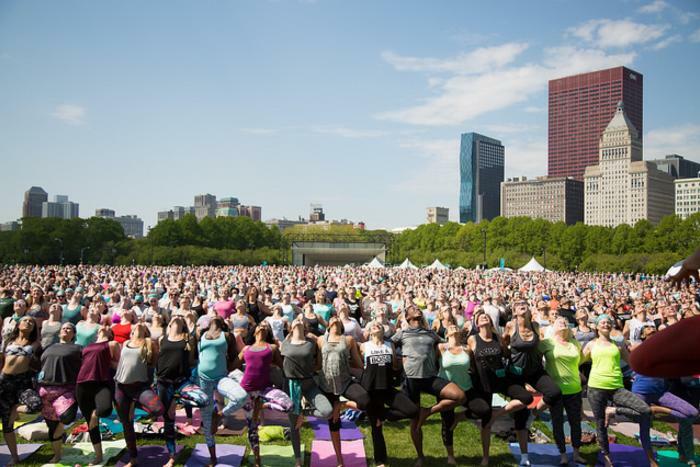 Chicago is a city of festivals, and yoginis are definitely not overlooked. Wanderlust 108 brings yoga workshops, meditation and movement to the park&apos;s expansive lawns and gardens in May of each year. Check out the full list of fun for 2018. Dancing is the workout that doesn&apos;t ever feel like "work." 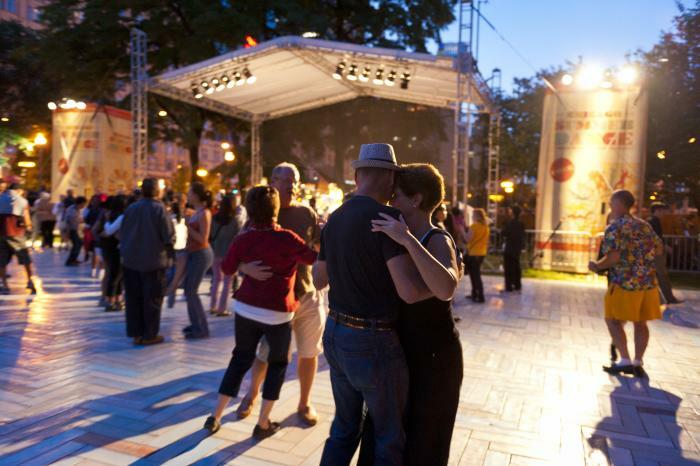 Chicago&apos;s annual SummerDance series in Grant Park offers free instruction followed by an evening of music and dance under the stars. Make a beeline to the Spirit of Music Garden, an urban dance space that hostS the sounds of 48 different live bands and DJs over the course of the summer. Lessons are taught pre-performance by some of the city&apos;s top dance instructors. SummerDance takes place Thursdays-Sundays, June 28-August 25, 2018. After Your Workout: Pay a visit to Buckingham Fountain, and watch an amazing 20-minute water display on the hour, shooting a center jet to a height of 150 feet. While these displays begin daily at 9 a.m., it&apos;s really dusk that you want to plan for. It&apos;s then that a spectacular light and music display takes place beginning every hour on the hour for 20 minutes. The final major display begins at 10:35 p.m.
Basically, the whole of downtown Chicago is at your fingertips, however, when you&apos;re at Grant Park. Take a stroll through Millennium Park and Maggie Daley Park, or along the Lakefront Trail or Chicago Riverwalk. The Chicago Cultural Center and Art Institute of Chicago lie close by, as does the new American Writer&apos;s Museum and Chicago Architecture Center (opening August 31, 2018). If shopping is on your radar, both State Street and the Magnificent Mile are in walking distance.